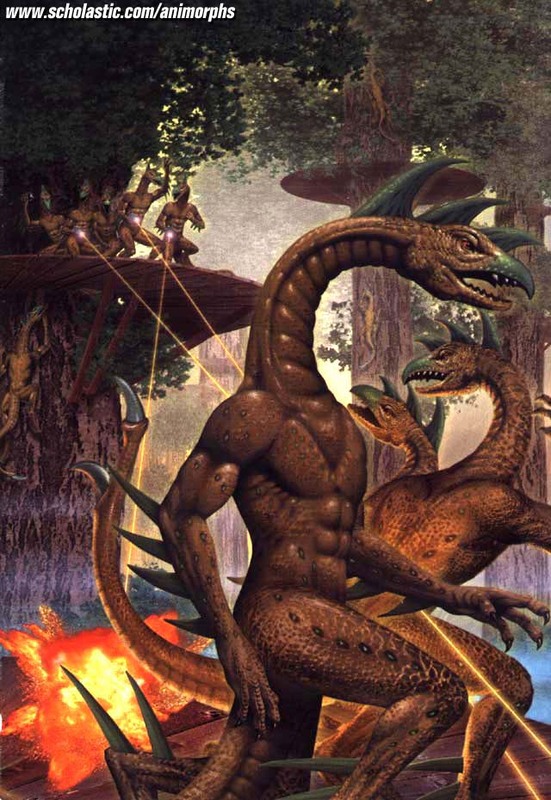 The Hork-Bajir, a primitive and peaceful species, are enslaved by the Yeerks for their bladed bodies. The Hork-Bajir do not understand what the Yeerks are doing when they are forced to slice one of the Animorphs apart, and don't understand what has happened to them. The Hork-Bajir are basically reptiles(Lizards, to be more specific) standing on their hind legs with blades accompanying their joints. Click here for an image of one. They are lost to the Yeerks. The only free Hork-Bajir are somewhere in the mountains around the forest Tobias and I live in.